(i) Haryana based Ultra Wiring Connectivity Systems Limited was incorporated in 2005. Ultra Wiring Connectivity Systems Limited is engaged in the business of manufacturing of Couplers, Connectors and Allied products for automobiles. (ii) The Company has a Manufacturing Plant situated near Delhi at HSIDC Industrial Area, Faridabad. The Company owned a Godown in Pune and an under-construction unit in ‘Industrial Model Town’ of Faridabad. (iii) The Company is registered as ‘Small Scale Industries (SSI) unit’ with MSME. For improving the quality, Company is also certified as IATF 16949: 2016 by M/s TUV SUD. Empowered with experienced Die & Tool Makers, they follow all necessary Connectors design procedures at par with International Standards. 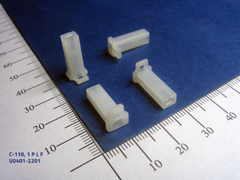 During each Tool Making procedure, they make sure that each Connector structure actually adheres to the International quality guidelines depending on the type of application. 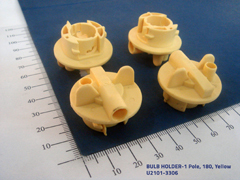 At their Tool Room section, they are equipped with 2-D & 3-D facilities for designing of both Mould and Connectors. (iv) Presently, the Manufacturing Plant is equipped with 26 Fully Automatic – PLC Controlled Injection Moulding Machines supported by a well-equipped Tool-Room, where components are manufactured as per Japanese Standard JASO –D 616-2011 & ISO – 8092. The plant has a total capacity of 120-135 lacs couplers per month on 24 hours 3 shift basis presently, being producing 100-110 lacs couplers per month. (i) The company is supplying Couplers to almost all the automobile manufacturers in India. They are approved source for Tata Motors, Bajaj Auto Ltd., Maruti Udyog Ltd, TVS Motors, Kinetic Engg, etc. (ii) The company is supplying Connectors to many valued customers all over India manufacturing wiring harnesses, switches, lights, etc. for Auto-industries such as Tyco Electronics Ltd., Tata Yazaki Autocomp / Yazaki India Ltd, Minda Group of Industries, Lumax Group of Industries, Fiem Industries Ltd and also exporting to M/s Thai Summit Harmess, Thailand and Fujikura Automotive, Paraguary (SA) etc . (i) Best Supplier Award received from Yazaki India for the year 2006-07. (ii) Best Supplier Award received from Yazaki India for the year 2009. (iv) Best Supplier Award received from MINDA for the year 2009-10. Objective of Ultra Wiring Connectivity IPO are: 1. For Setting up of New Unit at Plot No. 300, Sector 68, IMT, Faridabad, by setting up a parallel production line for the manufacture of Connector and New Line for manufacturing of Blade Fuse. 2. Working Capital requirements. 3. General Corporate Purposes. 4. Issue Expenses. Promoters of Ultra Wiring Connectivity IPO Company are: (i) Mr. Sanjay Mathur, aged 54years, is the Promoter & Managing Director of our Company. He has done engineering from the Institute of Engineers (India). Mr. Sanjay Mathur (Engineering graduate) (Ex-Deputy Manager - R&D of M/s Escorts JCB Ltd.) as well own and experienced personality in Plastic Industries. 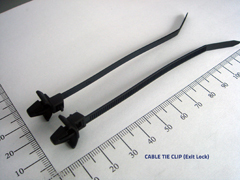 In 1991, he started a unit in which he started making Plastic Couplers. He started the business with a very small capital and started providing his services to the industry. That time Ultra was the only manufacturer of Plastic Couplers for Automobiles in Faridabad. The Gross Compensation paid to him during Fiscal Year 2016-17 as remuneration was Rs. 12,00,000/- p.a. (ii) Mrs. Archana Mathur, aged 49 years, is the Promoter & Director of the Company. She has done Bachelor of Arts from Meerut University. She has vast experience of twenty-four years in the industry. Her long professional career gives guidance to the employees of the company in achieving targets in a dynamic and complex business environment. The Gross Compensation paid to her during Fiscal Year 2016-17 as remuneration was Rs. 12,00,000/- p.a. Key Financial Points 1. The Revenue is growing at CAGR of 9.65% in the last 5 years. 2. The PAT is growing at CAGR of 39.57% in the last 5 years. 3. EPS( Post Issue)= 2.18 4. P/E= 16 5. P/B= 1.75 6. The Company has shown excellent improvements in the EBITDA margins over the last 5 years. In the same period, the margins have moved up from 7.3% in FY14 to 12.1% in FY18. 7. The Company has reasonable ROE and ROCE of 18% and 17.62% in FY18. 8.D/E(Post Issue)= 0.31( Manageable.) 9. The Company is generating healthy Cash flows in the last 5 years. Problem Area in Financials The only issue which is problematic in financials is very High Receivable days. The company has close to ~16 Cr Revenue in FY17-18 and out of which ~10.53 Cr is receivable which is 68% of the Revenue. The rising receivables for any company are problematic as it leads to the shortage of funds for day to day activity compelling management to finance working capital from borrowing which further put pressure on margins and profitability. The following tables reflect the story of Receivables in the last 5 years. Listing in discount. This is the problem. SME with No Support from LM is facing this heat. Applied 3 allotted 1 and sold at 1500 to my broker. Yes… An allotment is Out… Listing Should be positive…. Can u throw some light to substantiate your view? Conclusion: The Issue is reasonably priced. (ii) Profit- 14 lakh(2015), 16 lakh(2016) and 27 lakh(2017). 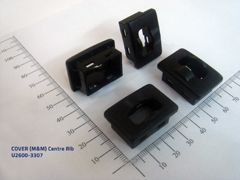 (iii) Business- The firm is engaged in manufacturing of blade fuse, mini fuse and micro fuse which are mainly used in automobiles. (ii) Profit- 20 lakh(2015), 33 lakh(2016) and 50 lakh(2017). (iii) Business- The firm is engaged in manufacturing of plastic components for the automobile industry. Although management has clarified that the business of the proprietorships firms is different from the business of Ultra wiring Connectivity Limited. However, in future nothing can be guaranteed that they will not change their business line in similar to the business of the Ultra Wiring. The Company caters to Automobile Sector. The Growth of the company directly depends upon the growth of this sector. Let us understand how this sector is performing. (i) The Indian auto-components industry can be broadly classified into the organized and unorganized sectors. The organized sector caters to the Original Equipment Manufacturers (OEMs) and consists of high-value precision instruments while the unorganized sector comprises low-valued products and caters mostly to the aftermarket category. (ii) The total value of India’s automotive aftermarket stood at Rs 56,098 Crore (US$ 8.4 billion) in FY 2016-17. (iii) The Indian automotive aftermarket is expected to grow at a CAGR of 10% and reach Rs 75,705 crore (US$ 13 billion) by the year 2019-20, according to the Automotive Component Manufacturers Association of India (ACMA).